Book a ferry to Jersey with AFerry. You can use Jersey to take ferries around the Channel Islands and also to England and France. Domestic services in the Channel Islands are available from Jersey to Guernsey and Sark while ferries away from the Channel Islands sail to Carteret, Granville, Poole, Portsmouth and St Malo. Condor Ferries sail from Poole to Jersey usually from April to October and from Weymouth to Jersey all year round, increasing sailings in the summer months. Manche Iles Express sail from Carteret to Jersey seasonally. 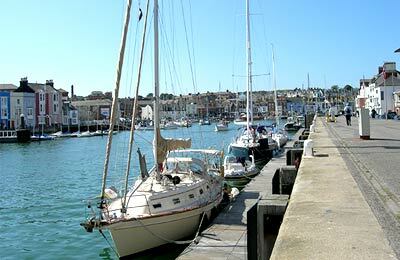 Granville to Jersey up to 3 crossings per week with a sailing duration of 1 hours 25 minutes. Guernsey to Jersey up to 3 crossings per week with a sailing duration of 1 hours 25 minutes. Sark to Jersey infrequent crossings with a sailing duration of 1 hours 10 minutes. The average price this week for a car and two people return is £100 per person. Jersey is the largest of the Channel Islands at nine miles by five. Jersey Island is one of the Channel Islands along with Guernsey. Like the other Channel Islands, Jersey is far closer to Normandy in France, than it is to England. The Channel Islands are officially British although in many respects they have their own sovereignty. Ferries to and from Jersey are operated by Condor Ferries and Manche Iles Express. Because 2 ferry companies operate in and out of Jersey, comparing can be very useful to help you find the best price at the best time for you. When you search for a ferry to Jersey, we will always show a range of times just in case it's cheaper earlier or later than the time you select. We'll also show you results for similar ports like Jersey/Gorey to help you find the best times and prices to suit your plans. Jersey ferries with Condor Ferries and Manche Iles Express are known for their comfort and high levels of service, and you will feel like your holiday has begun the moment you step on board. Travelling to Jersey will be easy and hassle free. Start by making your booking today, it's quick and easy. The terminal is open from 0600 until 2230. Facilities include a cafeteria, bar, gift shop, disabled toilet and baby-changing facilities. There is a public parking in front of the Elizabeth Harbour terminal, charge 50p an hour. Maximum stay is 5 days and charges apply seven days a week, including Bank Holidays. Ferries from St Helier are operated by Condor Ferries to Cherbourg, Portsmouth, Guernsey, Jersey, Poole, St Malo and Weymouth. 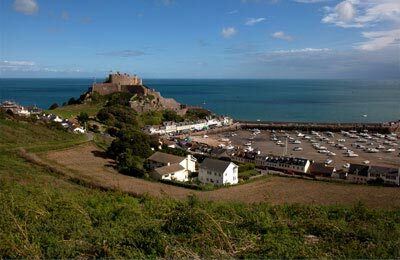 Gorey is a smaller port on Jersey, located 7km away from St Helier, on the East coast of the island and overlooked by the magnificent Mont Orgueil castle. The area surrounding the port has a wide range of shops, bars, restaurants and transport links to the rest of the island. Ferries from Gorey are operated by Manche Iles Express to Carteret and Dielette in France. If want to stay a little longer in or around Jersey, visit our accommodation page for the best prices and one of the largest selections of hotels / B&Bs available online! we travel to Jersey a lot to visit my daughter and grandson we travel by ferry because my wife is disabled and we bring a mobility scooter so she can get out while we are out there. we have been twice this year and intend to visit again late September we always enjoy the journey .